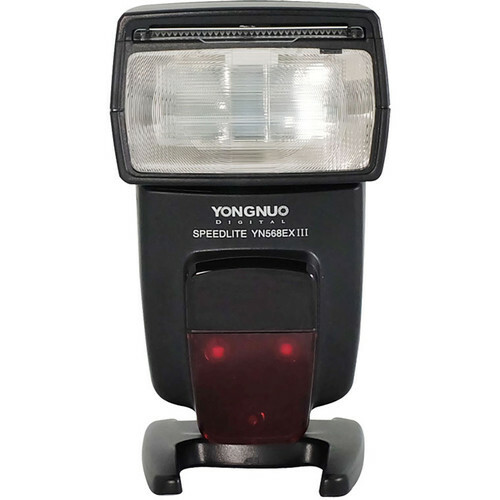 Jam-packed with features and functions, the YN568EX III Speedlite from Yongnuo is a stellar addition to nearly any lighting kit. 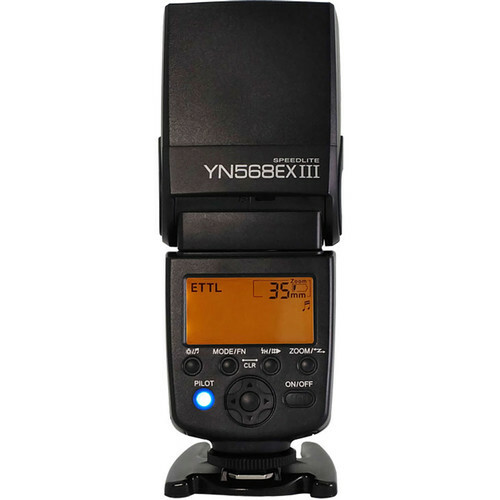 This model is directly compatible with Nikon's i-TTL system, permitting on-camera use with automatic exposure capabilities and high-speed sync. 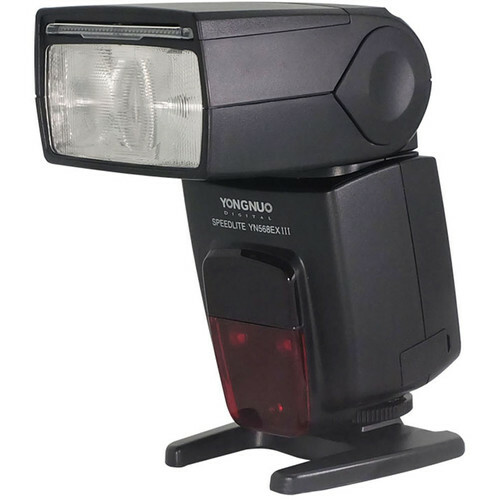 It can also function as an optical TTL master for other Nikon-compatible flashes or as an optical TTL slave for either Canon or Nikon systems. It is quite powerful as well with a rated guide number of 190' at ISO 100 and 105mm and is versatile thanks to a head that can tilt from -7 to 90° and rotate 270°. For controlling light, the flash has a zoom head able to be set from 24-105mm along with a wide-angle panel that optimizes coverage for focal lengths as wide as 14mm. This unit also has a fast recycle time of just two seconds. 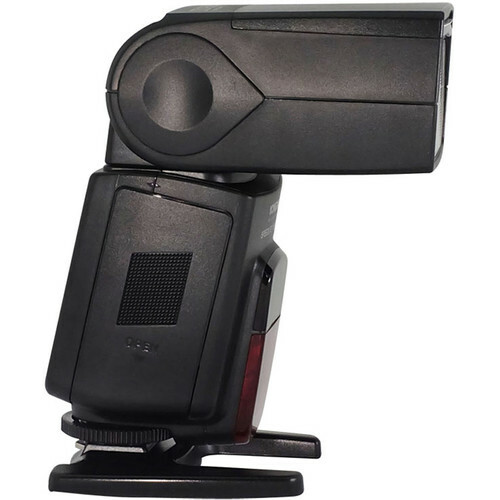 Operation has been improved as well with an AF-assist light and audio signals available. Additionally, it has a 2.5mm sync port and a USB interface for firmware updates. Box Dimensions (LxWxH) 8.4 x 3.8 x 3.3"